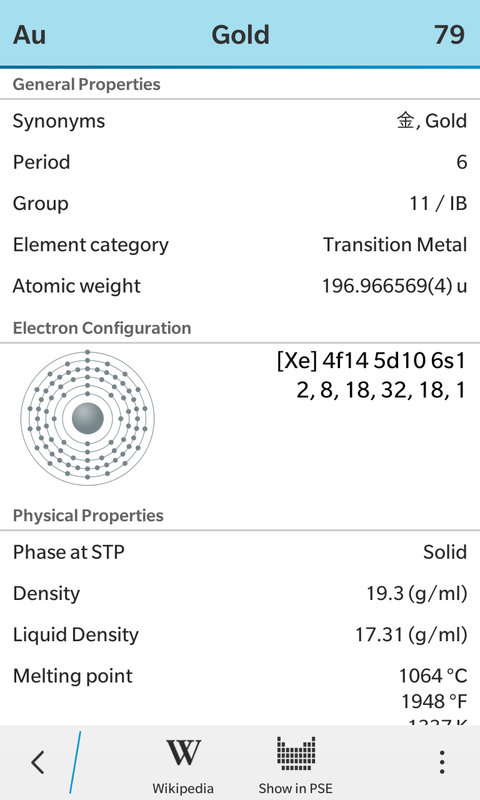 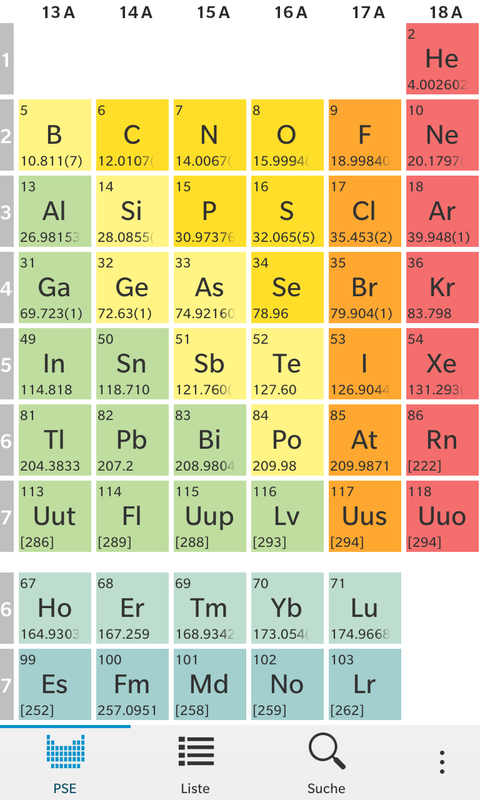 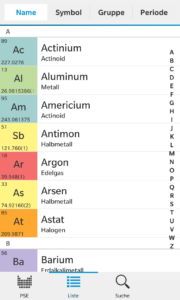 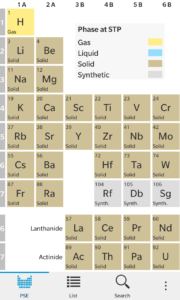 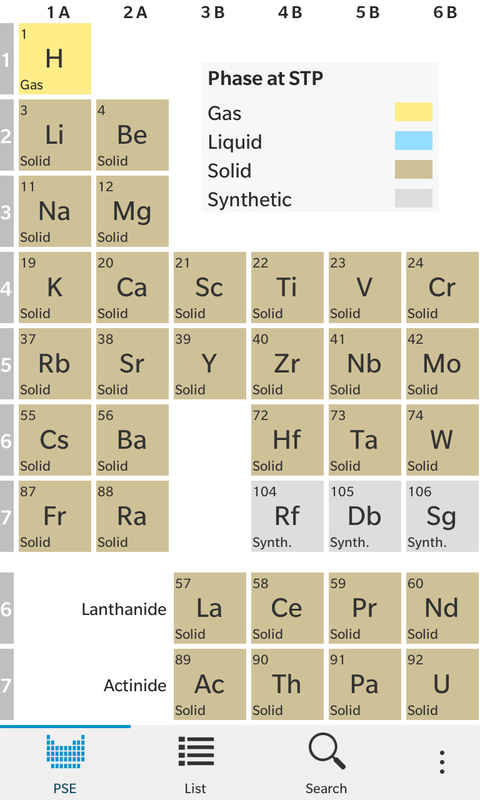 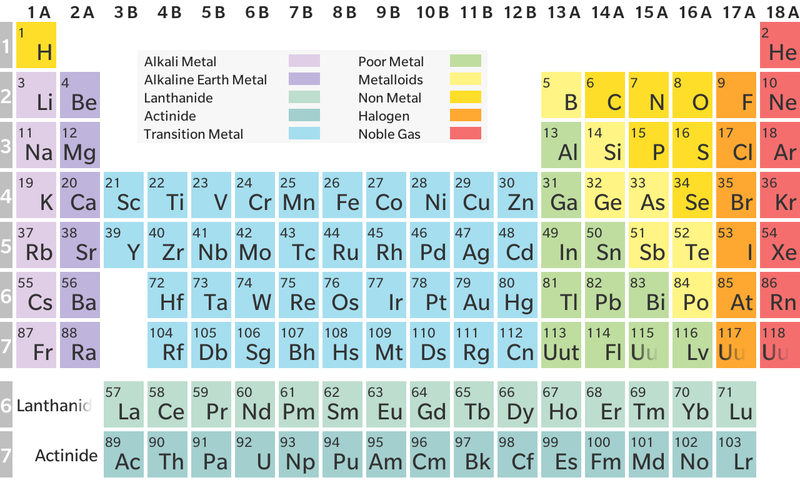 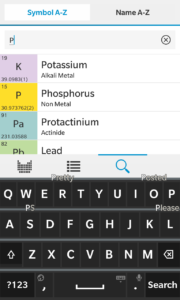 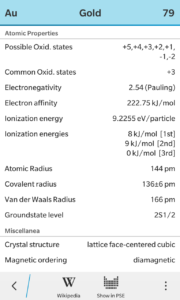 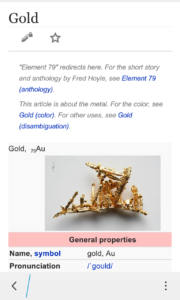 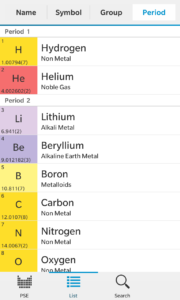 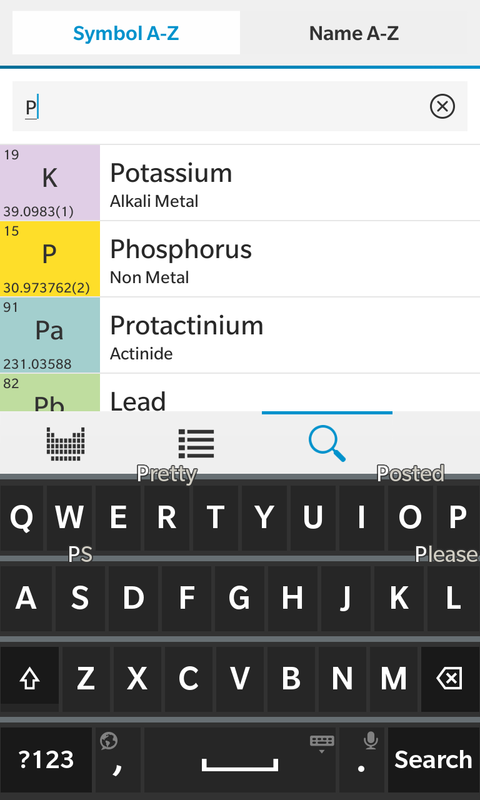 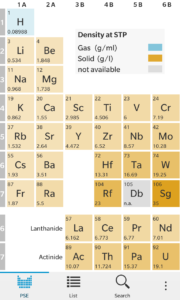 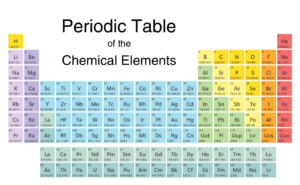 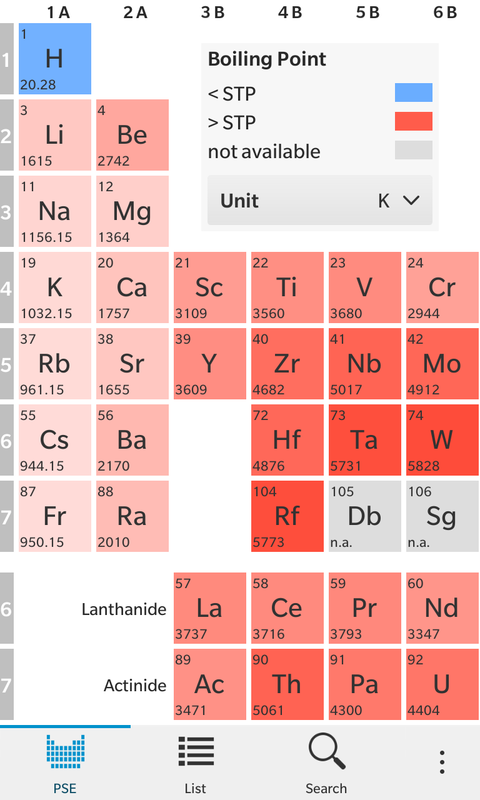 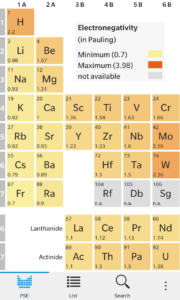 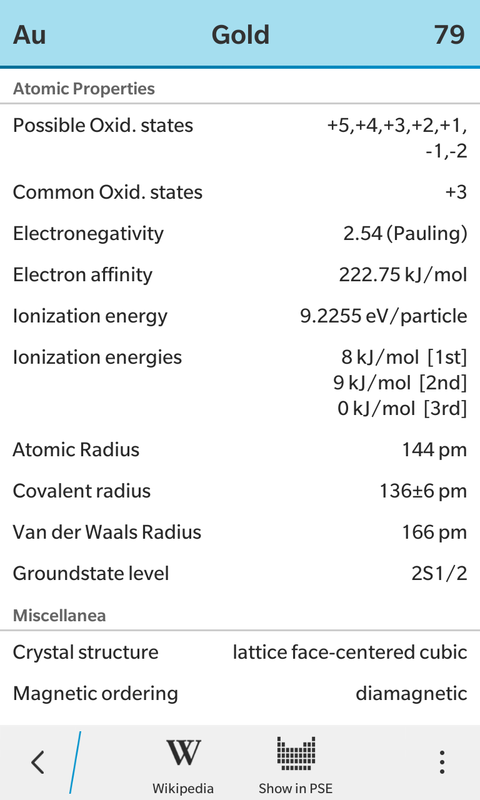 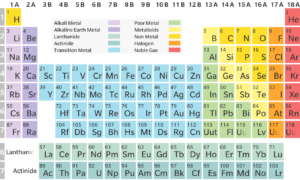 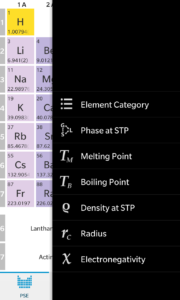 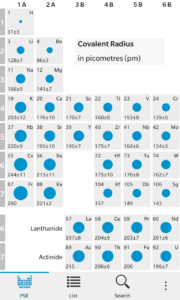 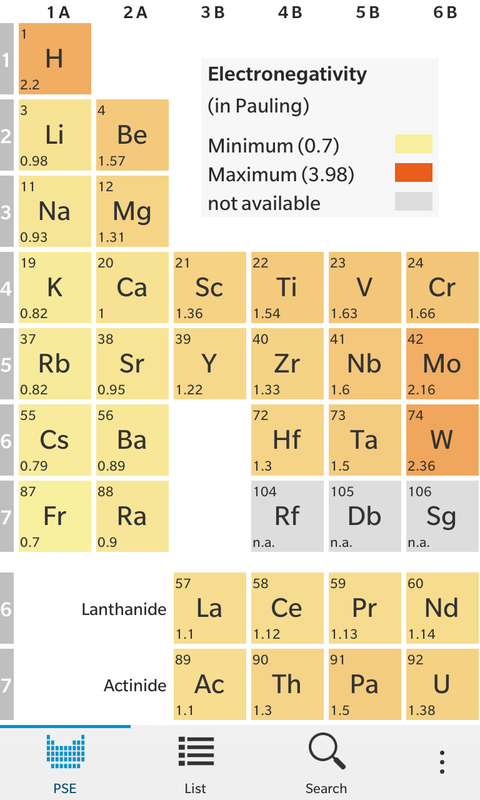 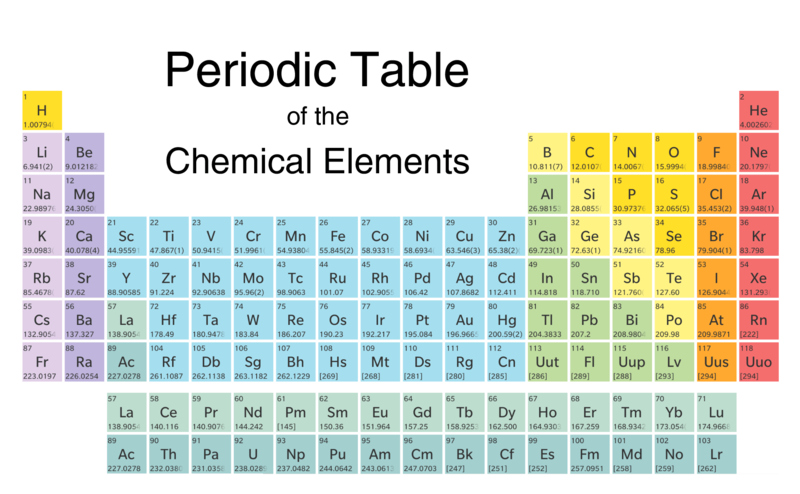 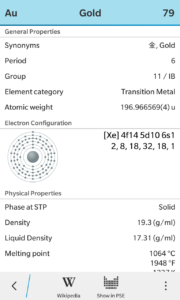 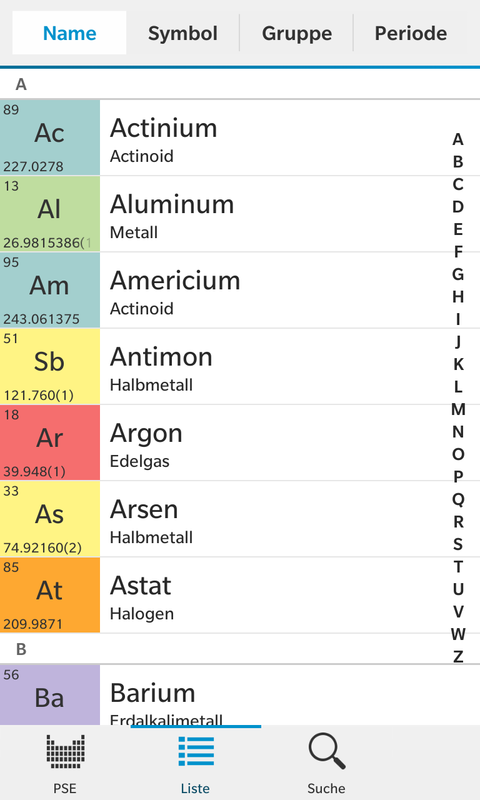 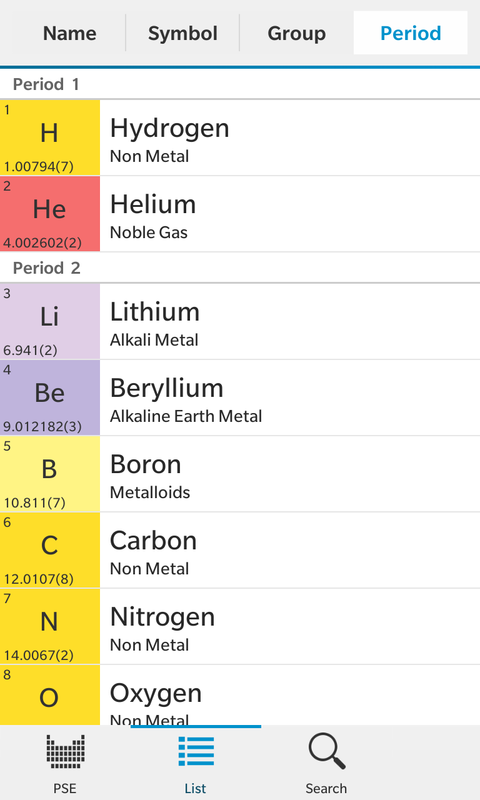 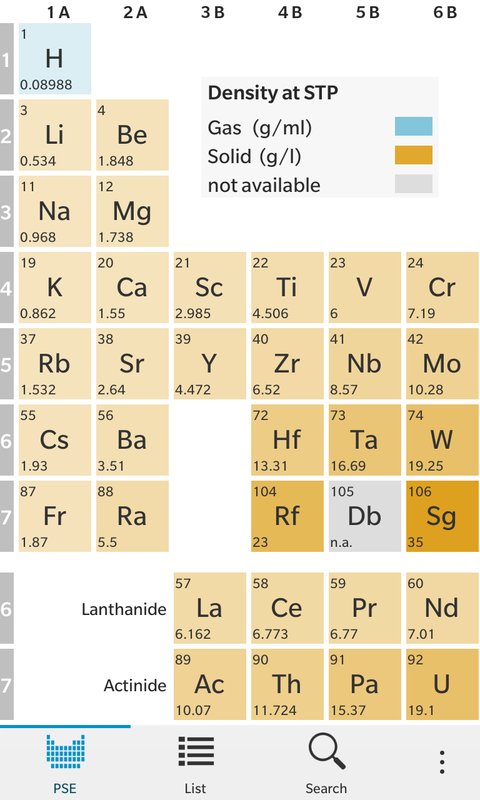 Periodic table is an easy to use BlackBerry 10 app to get important informations about the 118 chemical elements. • Compare the elements in one view: The table view now offers 7 different types of data visualisations. 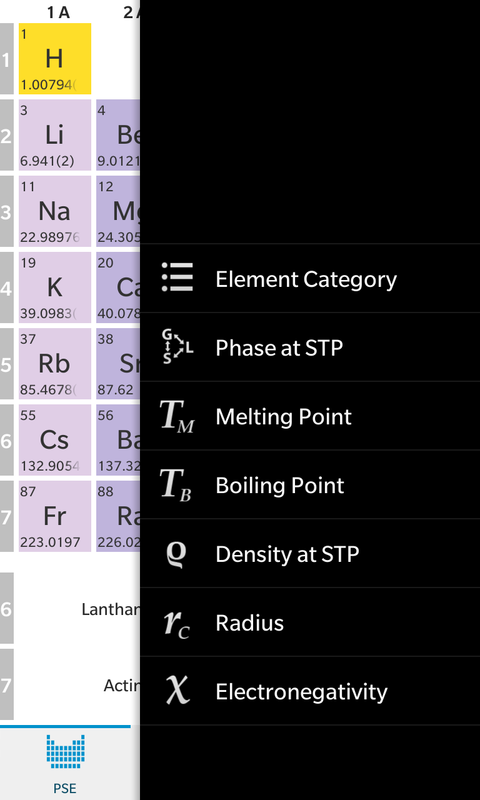 Switch between element category, boiling point, melting point, density, covalent radius and electronegativity.